Donald J. Hamman is a founding partner of Stuart Kane LLP, and practices in the Litigation group. Mr. Hamman’s litigation practice includes representing managers, owners, developers, venture capitalists, property buyers and sellers, landlords, tenants, investors, title companies, real estate brokers and agents, design professionals, banks, lenders, borrowers, guarantors, redevelopment agencies, cities, contractors, manufacturers, civil engineers, corporations, LLCs, partnerships, joint ventures, LLPs, law firms, and others. Shopping center owner in negotiation of nominal settlement with “serial plaintiffs” for alleged Americans with Disabilities Act (ADA) violations. Yacht broker in a trademark infringement and commissions dispute with a yacht manufacturer in a trial and on appeal. Property owner in a negotiations of eviction dispute with restaurant franchisee tenant that resulted in tenant quickly vacating the property at minimal expense to both parties in trial court and on appeal. Southern California construction company in dismissal of a lawsuit against the company’s pension plan for claims of embezzlement, conversion, fraud and negligent misrepresentation. Residential real estate developer in shareholder derivative lawsuit alleging improper expenditures by the managing member of the LLC in Orange County Superior Court. Commercial real estate owner and developer in civil lawsuit concerning the effect of a loan foreclosure on an option and prior lease. Commercial real estate owner in obtaining order to expunge or remove a lis pendens. Commercial real estate owner in negotiating settlement to preserve claims against a title insurance company during pending appeal by occupant. Principal whose consultant engaged in the unauthorized practice of law in a motion for a right to attach order and writ of attachment. Landlord and owner of commercial and industrial building in a breach of lease dispute. Investor in high tech start up company in a dispute over $390,000 in convertible debt. Biotechnology company tenant in an eviction dispute and negotiation of reduced lease space that allowed for additional capital for research and development efforts. Shareholder in a security bond dispute in San Bernardino Superior Court. Developers whose loan guarantee modification a lender tried to avoid. Shopping Center owner whose ground lease was assigned without consent. Partners, LLC managers, general and limited partners in disputes concerning management, expenditures, fees, refinances, etc. Developer whose attorney was disqualified by LLC member suing the managing member. Tenant accused of failing to repair docks and buildings before delivery possession to a ground lessor. Landlord accused of overbilling CAM charges. Owners and operators accused of contribution to soil and ground water contamination. Linborg-Dahl Investors, Inc. v. City of Garden Grove (1986) 179 Cal.App.3d 956Mr. 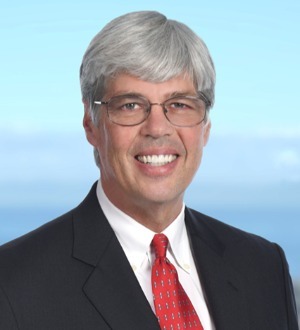 He also has served as a Judge Pro Tem for the Orange County Superior Court, regularly speaks at the OCBA’s “Bridging the Gap” programs for newly admitted attorneys, and served as a member and chair of the Orange County Bar Association Judiciary Committee. Mr. Hamman has served on the Board of Directors of the Orange County Chapter of the American Heart Association for the past several years, and was Chairman of the Board from 2013-2014.